Sing it with me now.. "We're all going on a SUMMER HOLIDAY!" 🎶 That's right, it's approaching the time when many of us will grab holiday brochures and start scouring the shops for that must-have new bikini, so I thought it was the perfect occasion to share some of my favourite holiday memories! 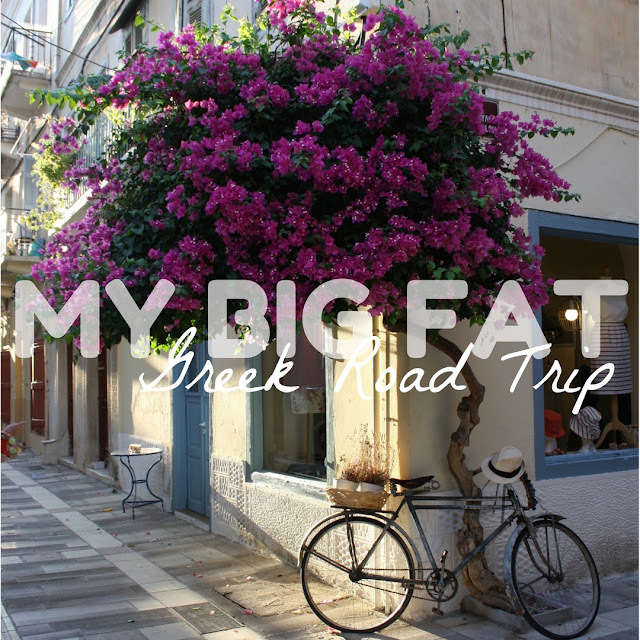 In the summer of 2015, I took a road trip with a group of friends across Greece! But this post isn't just about sharing the good times, however, there's also an important safety message attached. If you're planning on taking a road trip this summer, either abroad like me or in the UK, ensuring that your car is in tip top condition is super important. And not just for your own safety either, but for that of other drivers. I'll be telling you all about how the experts at Fife Autocentre can help you out on this matter a little later on in the post! So, let's get started with some road trip fun! 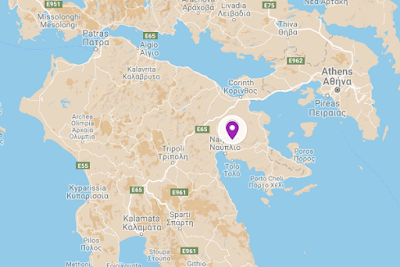 Our journey took us across the Argolid, in the eastern Peloponnesian Peninsula. Unless you're a Greek geography whizz, that probably doesn't mean a whole lot to you, so the little map to the right gives the general area around which we travelled! It takes about 1 and a half hours to get to the Argolid from Athens. The region has some absolutely stunning scenery and some amazing historical sites, so driving around in the car gave us great opportunities to explore! One of my favourite places that we visited was Asine! The beach was absolutely stunning, if a little stony! We stopped at a little roadside cafe for lunch, only to find out that the place had its own private beach! After feasting on fresh fish and delicious Greek salad, we took the few steps down to the sea and had a paddle - I certainly didn't want to get back in the car and drive away! Aside from the glorious beach, Asine is also home to a fascinating archaeological site, a town destroyed around 700BC as a punishment for the inhabitants siding with Sparta in a conflict! Ah Nafplio, easy one of the most beautiful towns we visited! It is much more touristy than any of the other locations, and the prices here compared to elsewhere in the Argolid do reflect this. We stayed in a little hotel overnight and it was lovely, right in the centre of the town and importantly in close proximity to the cocktail bars! There were so many lovely little shops and nooks and crannies to visit! Everyone was really friendly too, creating a warm and welcoming atmosphere. The main reason for our stop-off at Epidauros (just as the sun was setting!) was to check out the amazing archaeological site! The theatre, constructed in the fourth century BC, was absolutely breathtaking! It seats up to 14,000 people and has such good accoustics that a conversation being held between two people in the orchestra (the circular pit at the bottom) is audible even from the top row! The site also has the remains of an ancient temple and a stadion for running races. Just incredible! Every archaeologist worth their salt will have heard of Mycenae, one of the founding cities of Greek civilization from the Neolithic to the Late Bronze Age. The ancient city has commanding views of the surrounding landscape of the Argolid, making for a hot and sticky climb to the very top! However, it's definitely worth it when you get to admire the stunning views - you can see all the way to the Sardonic Gulf! There were also some fascinating tombs at the site, including some amazing beehive tombs hollowed out from the hillside! Now, if you're tempted to set off on a road trip of your own this summer, it's easy to get caught up in planning your route, packing your bags, and salivating at the thought of alllll the Instagrammable photo opportunities you can capitalise on during your time away. But it's important to put safety first and check that your car is fit for purpose before you set off. Before setting off on your trip, consider checking your car in for a service. Making sure that your tyres, engine, and brakes are ready for the challenge will ensure you won't have the disappointment of calling the AA just a few miles down the M25 or the pain of a nasty whiplash injury. You can get your car exhaust inspection carried out by the professionals at Fife Autocentre - they will also perform a free safety check for you! I highly recommend that you bear this in mind when planning any summer travels. After all, it's better to be safe than sorry!